Back in the day on Madison Avenue, Tom Quinn and I made commercials together for Tide Laundry Detergent. He was my client at P&G and I was the ad agency account guy. His boss (and my senior client) was an intensely clever and magnetic guy named A. G. Lafley, who has now risen to become the CEO of the Procter and Gamble Company. Bravo, A.G.
And now, bravo Tom Quinn. Because he’s just written an absolutely killer historical novel set in Venice and the briny Adriatic in 1452. 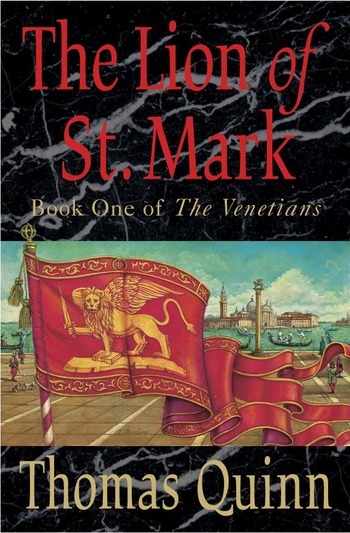 Called The Lion of St. Mark’s, the book follows the adventures of Captain Antonio Ziani, a Venetian merchant and naval officer, as he tries to protect Venice and Christendom from the surging Ottoman Turk empire. What makes the book work is the way it transports the reader … to the smoky deck of a Venetian warship as it rams a Turkish galley at full speed … to the disbelieving chaos in the walls of Constantinople as Muhammad II’s army fatally punctures the city’s defenses … inside the Palazzo Ducale and into the chambers of the Great Council where Doge Foscari agonizes over his loosening grip on power. Tom vivifies these scenes by placing his chessmen inside historically perfect backdrops with a passionate attention to verity of detail, without being didactic. And it’s a page-turner. Sometimes it feels like it’s written as a Perils-of-Pauline/Dostoyevsky serial where the end of every chapter hooks the reader to peek at the beginning of the next one. 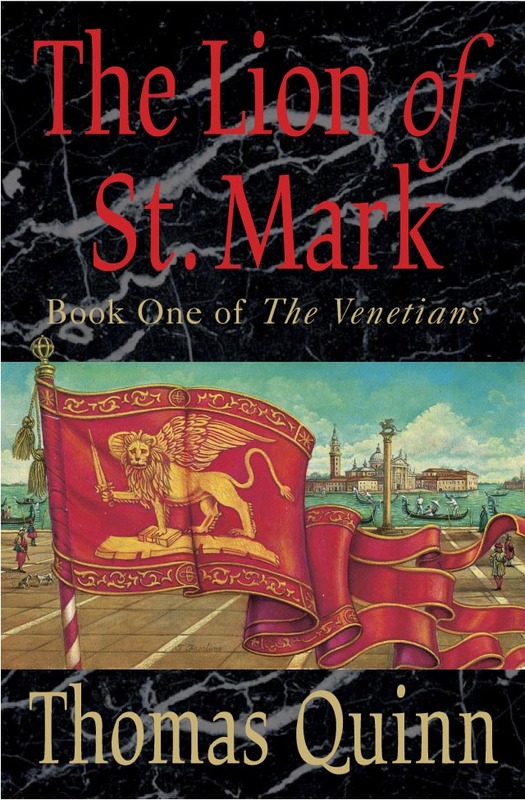 In fact it is a sort of serial, this being the first in a trilogy called The Venetians. Book two is cooking in Tom’s computer right now, as I understand it. You can get your own copy by following this link. I just ordered my copy on Amazon.com and they only had 4 copies left...can't wait to get it! Hi from S of Venice. I suggest to visit my blog: there is a Gull coming from the other side of the pond that return each winter in Riva degli Schiavoni and San Marco square to eat food offered by the people to the pigeons. It is a Ring-billed Gull, the only american gull in Italy presently ! Photo of the American gull with the Redentore church at its back !